If one day of gravel is a great time, two days must be near perfection, right? 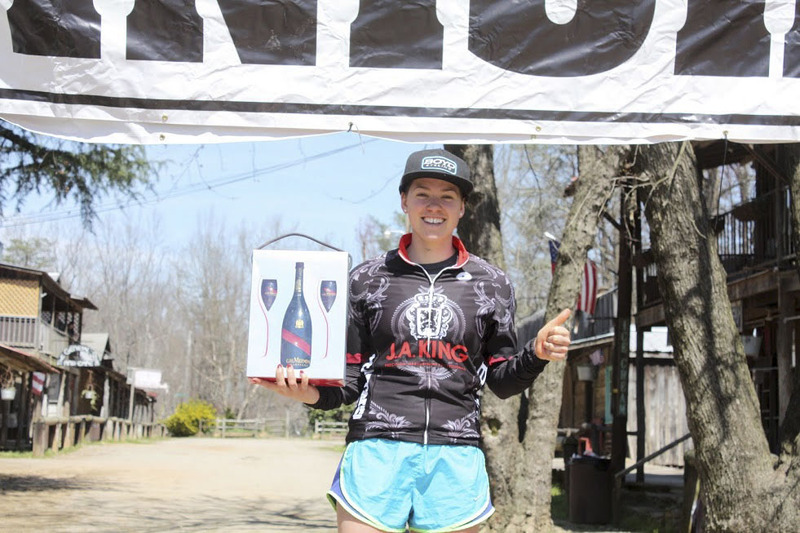 That is the thought behind North Carolina’s Love Valley Roubaix held on Saturday and Sunday last weekend. 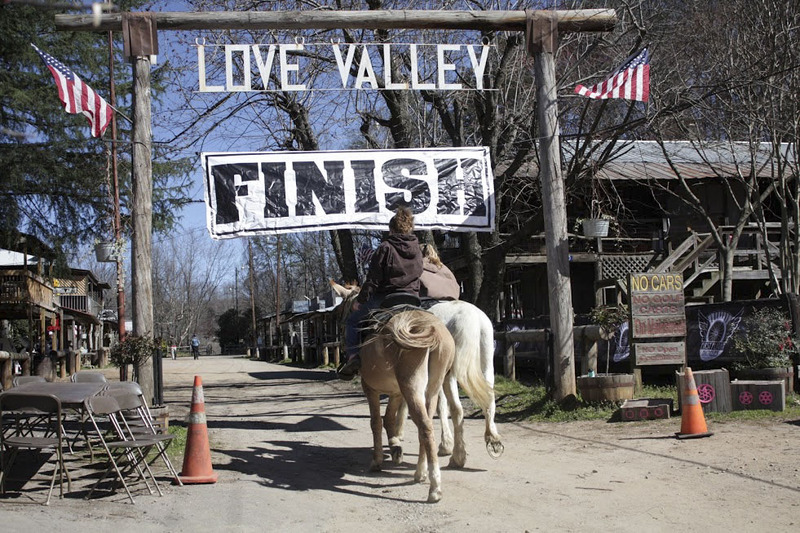 In its seventh year, the 2019 Love Valley race took a century and sliced it up into two halves on two different days. One of the best parts of gravel cycling is it allows folks to see beautiful places and hidden gems they otherwise would not get to experience by bike. The Love Valley Roubaix is no different. Both days of racing start and finish in the throwback historic western town of Love Valley, located at the foot of the Brushy Mountains in Northwest North Carolina. No cars allowed, of course. Prizes are, of course, theme appropriate. The race started in 2013, with gravel rides turning into a gravel race. “I have been riding the gravel roads in Love Valley since 2008 and started taking friends and customers up to ride with me. My friend Cameron Fraser loved it and decided that there should be a race so he started the Love Valley Roubaix,” Davidson said. The two routes each checked it at around 50 miles. The Saturday route had 3,500 feet of climbing over more rolling hills, and Sunday’s packed 5,000-plus feet of climbing in, mostly via two climbs up and over the nearby mountains. Perhaps the biggest surprise of this year’s races was the weather. After a cold, wet year in 2018, this year’s conditions were just the worst. With two days of racing and an omnium, there are plenty of results to go through. There were age group and singlespeed categories for both the women and men, but we will report the overall finishers here. Carla Williams took the Day 1 Women’s win, with Allison Arensman finishing second and Sarah Griffith third. Cynthia Frazier won Day 2, and Emily Werner and Kelly Paduch took second and third. Arensman won the omnium for her two-day consistency. Sandy Marshall finished second and Savannah Sill third. For the Men, the Day 1 overall went to Alan Starnes. Benjamin Renkema took second and Patrick Raines third. Day 2 went to Michael Bissette, with Kerry Werner finishing second and Renkema third. 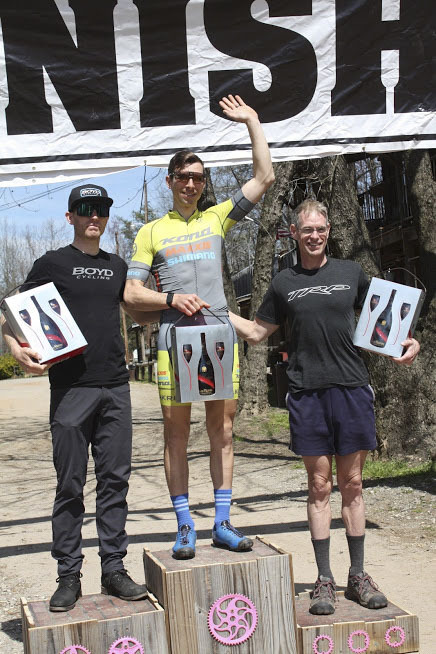 The omnium title went to Werner, and Renkema and Raines rounded out the two-day podium. Full results for both days and the omnium are below. The Love Valley Roubaix will return next year from March 20 through the 22nd. Due to popular demand, there may be a Friday race added to the omnium. Also, inspired by Sunday’s winner, a shot of Fireball may also be required pre-race nutrition for all non-Junior podium hopefuls. 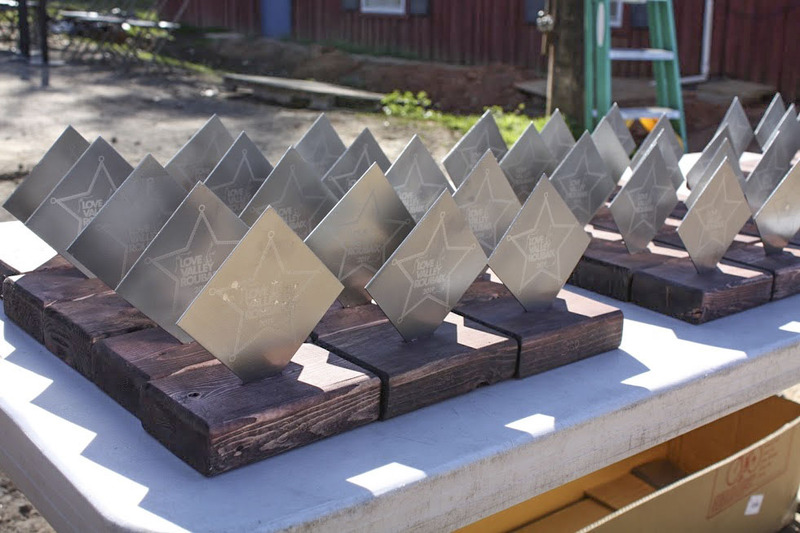 For more gravel race goodness, see our growing archive of 2019 gravel race coverage.